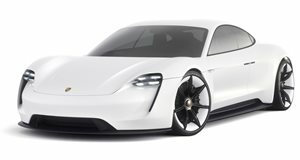 More than 20,000 people have already placed an order for Porsche’s first-ever fully electric car. This year’s Geneva Motor Show hosted the debuts of several groundbreaking electric cars, from the Tesla Model 3-rivalling Polestar 2 and the Lagonda electric SUV concept, to the incredible 1,900-hp Pininfarina Battista. One car that was notably absent, however, was the Taycan, Porsche’s first-ever EV. While Porsche has already confirmed the Taycan will be revealed this year, we didn’t know when – until know. Three years after the Mission E Concept debuted, Porsche has now confirmed the Taycan will be revealed in all its production glory this September. A specific date hasn’t been confirmed, but it will most likely make its world debut at the 2019 Frankfurt Auto Show on September 10 before sales start before the end of the year. Despite the final design not being revealed yet, Porsche says more than 20,000 people have already placed an order for a Taycan, which requires a down payment of €2,500 in Europe (around $2,800). So far, we know the Taycan will be powered by two electric motors producing a combined output of more than 600 horsepower, while the battery pack will provide enough juice for a range of over 310 miles in the NEDC testing cycle and take only four minutes to recharge to provide a range of 62 miles. Accelerating to 62 mph from a standstill will take just 3.5 seconds. After the Taycan launches later this year, Porsche will also release a more practical Taycan Cross Turismo wagon.